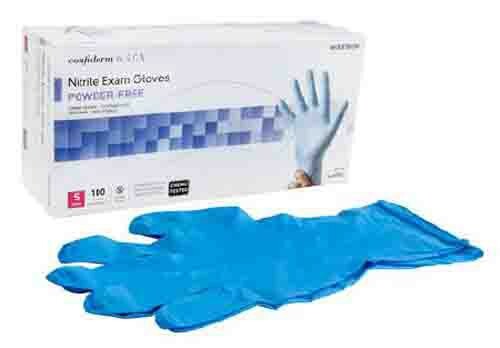 McKesson Confiderm Nitrile Exam Gloves have a powder-free design. They are ideal for both the right and left hand and are made for single use only. This exam glove features a beaded cuff and has an extra thickness for maximum safety. These gloves have been thoroughly tested for safe use with Chemotherapy Drugs and are designed to protect against drug/harsh chemical use and are also latex free.